"I live in northern Illinois, zone 5a -20 to -15 F. I bought a Bartzella in the late 1990s directly from Roger Anderson. So it has been planted in the same location for 16 years. The plant has bloomed well except the last two years. In 2013 I had only 5 flowers. This year 2014 I had no flowers. The plant looks to be growing well, it has many stems, good green color. All the stems are strong and tall no wilt. No signs of disease either. The base of the plant is about 14 inches across. In the fall of 2012 I trimmed the stems to about 1.5 inches. Thinking that might have been too short in the fall of 2013 I trimmed the stems to 4 to 5 inches tall. I have other herbaceous peonies in the same area and they bloom well." "Any ideas on what I should do?" "1. Divide the plant and replant"
"2. Don’t divide the plant and add bone meal, slow-release nitrogen (Milorganite) and Triple Super Phosphate Plant Food to the drip edge on the plant"
"3. Don’t trim the old growth until the early spring 2015 instead of late fall 2014." "4. Some combination of 1 and 2"
I would recommend option number one along with a few other ideas. A peony plant that is 16 years old should be divided and probably into more than two pieces. Once you have divided the plant, I would replant one piece in the current location and the other pieces in different locations, especially if you have a location that receives more sunlight than the current location. 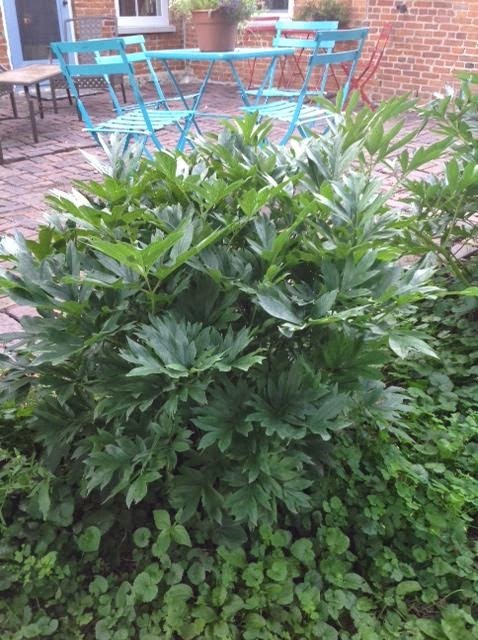 Also, I'm not sure what you have growing underneath your peony or how long it has been growing there, but it is possible that this groundcover plant could be having a negative impact on your peony, taking moisture and nutrients away from your peony plant. So I would recommend removing this groundcover and using some type of mulch instead. Peonies don't like too much fertilizer, so I would be careful with their use. 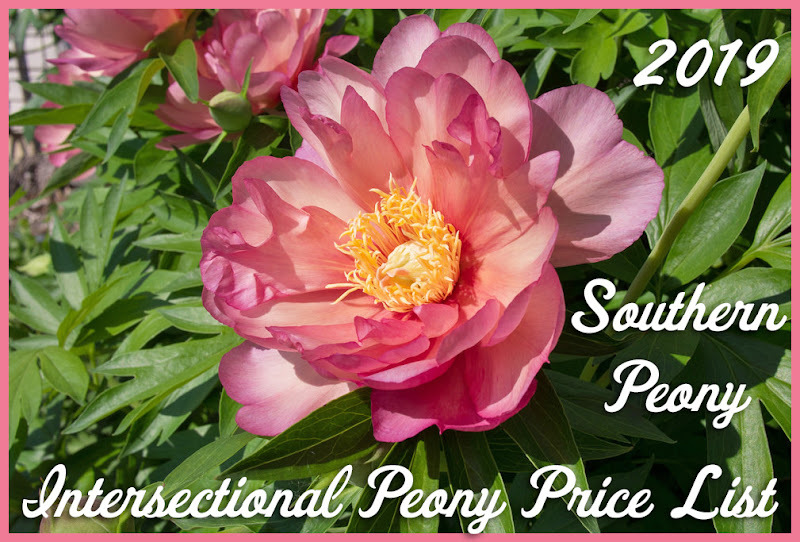 Instead of constant fertilization, I would recommend amending your soil with compost and/or composted manure before replanting the divided peony pieces. If you don't have compost of your own, bagged compost and composted manure can usually be purchased at most home improvement or hardware stores. As for when to cut back the peony plants, this can be done anytime after the leaves have died back, so late fall vs. early spring should not make any difference in your peony blooms (except that removing the dead stems and foliage earlier may lessen foliar diseases the next year). 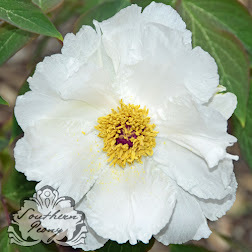 I hope this information helps, and good luck with your Peony 'Bartzella'!